Forty-five programs offered by the University of Washington ranked in the top 10 globally, according to a new report. Forty-five academic disciplines offered by the University of Washington were ranked in the top 10 among universities around the world in a new analysis released this week. 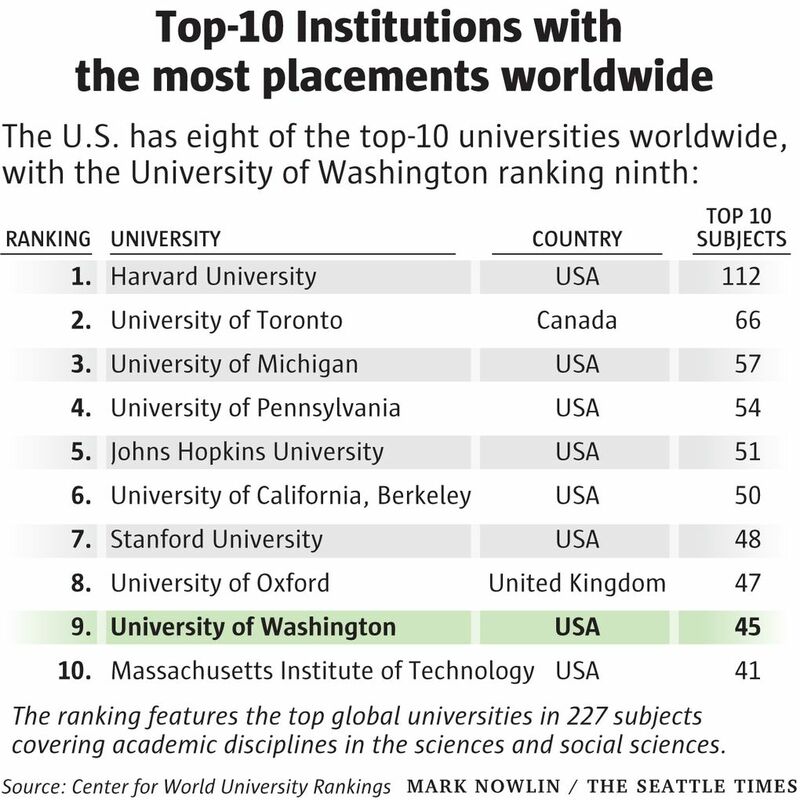 Among institutions with the most top-10 programs, UW ranked ninth worldwide. The top school was Harvard University, which had 112 subjects ranked in the top 10. The analysis was done by the Center for World University Rankings, which claims it has developed the only global university ranking that measures the quality of education and training of students, as well the prestige of faculty and quality of research, without relying on surveys and university data. For the subject ranking, the center took into account the number of research articles published by the universities in top-tier journals. The highest-scoring UW program was social work, which was ranked number 1 in the world. Oceanography and audiology & speech language pathology were ranked second worldwide, and biomedical research methods, medical informatics, microbiology and virology were all ranked third. The UW has done well on a number of different global university rankings, which typically emphasize the amount of research and journal publications produced by the faculty. For example, U.S. News & World Report ranks the UW 11th among all universities in the world. Rankings that focus on undergraduate education tend to give the UW a lower score. 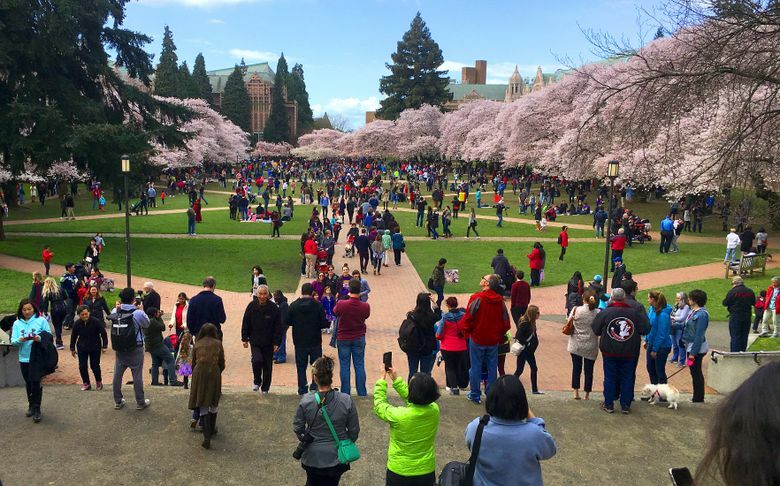 For example, U.S. News’s “Best Colleges” list — which examines selectivity, SAT scores of admitted students and predicted versus actual graduation rates — ranks the UW 54th among national universities.